When it comes to going green, we all differ on putting into practice what we believe to be necessary for the future of the planet. Some build homes designed to be eco-friendly, some update their current residences to reflect more planet-conscious choices and, increasingly, some decide to live in sustainable communities. Have you heard of sustainable communities? Also called ecovillages or green communities, sustainable communities are neighborhoods committed to a way of life that’s greener, with less of a footprint on the environment. What’s common to see: encouraged walking/biking, even telecommuting; homes architecturally designed to make use of solar energy and constructed with local materials; eco-friendly appliances and lighting inside homes; organic and natural foliage. Where you can find one: While sustainable communities aren’t the norm, the trend is a growing one, with neighborhoods popping up all over the world. According to the Global EcoVillage Network Database, in fact, there are 11,000 ecovillages in Sri Lanka alone! Next best thing: Whether or not a sustainable community is near you, opportunities to live greener are, wherever you live. Take inspiration from the green communities and make sustainable choices in your day-to-day lifestyle. Your neighborhood may or may not feature homes with eco-friendly features, your home can. Whether or not your community encourages walking over driving, you can look for ways to cut back on using your vehicle so much. 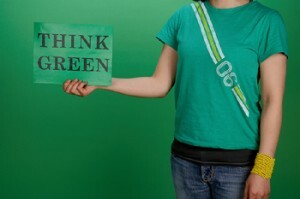 Going green starts at home, in small, daily changes done consistently. You replace your lightbulbs with energy-efficient ones. You choose ceiling fans. You become conscious of your water usage. And here’s another idea, which is just as simple: You try composting. Simply put, composting is the process of turning organic trash (anything that was once living, such as food, garden waste, grass clippings, straw) into something usable. Instead of just taking it to the curb on trash day, you’re repurposing it towards dark, crumbly compost, which is perfect for adding to soil, by placing it in a compost bin that turns it into a nutrient-rich soil ideal for gardening! It’s green. Did you know one-third of all trash that goes to landfills could be composted? 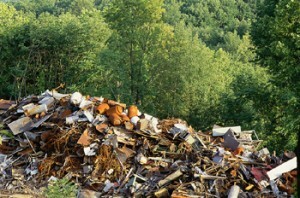 (cite greenhome.com) Imagine if that trash were instead repurposed through composting! This saves the space in landfills, and it saves the energy involved in trash collection! It’s a money-saver. By composting, you save money on your garbage bill and on fertilizer! It’s simple. While some green alternatives are expensive or complicated, composting is not. It’s something anyone can do! Composting isn’t a difficult process. You’ll need a compost bin of some kind (usually in the neighborhood of $60 to $180) to put in the yard. Then, you just need to begin trashing all organic materials, such as food scraps, in that bin. The bin will use high temperature (ideally around 160 degrees F) to convert all the organic materials. After a few months, compost will come out of the bottom. In preparation for the summer, Buy Owner explained several reasons why ceiling fans are more environmentally sound than air conditioners. Continuing this trend, and to offer you further explore ways to lower cooling costs and save energy, Buy Owner has another tip for you: try solar roofing! While solar roofing systems are costly, if you live in a particularly sunny area, you can look at this as a long-term investment. Say you spend $10,000 installing the system, but your utility bill is lowered by 30% to 50% (according to Roof101.com and EESolar.com). You will actually save money over a period of 30, 20 or even 10 years! 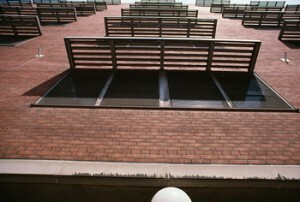 Generally, solar roofing comes in panel form. It is also available in shingles, tiles and sheets. Solar panels are offered in all kinds of colors, and the panels may be integrated with your current roof so they are not noticeable. Solar panels are very lightweight, making them easy to handle. Most roofing systems do not require you to make alterations or additions to your existing roof. Many solar roofing panels are interlocking, requiring zero mechanical fastening. Solar roof panels generate electricity (some from 3 to 120 kilowatts). Some solar roof systems can withstand winds up to 160 miles per hour! South-facing sloping roofs are the most efficient, but solar roofing systems can be placed on any house. Before you install your solar roof system, you should consult an expert. Roof101.com offers free estimates! Not only will the Roof101 contractors do a full inspection of your roof, but they will also inform you where and how to install the solar roofing system. 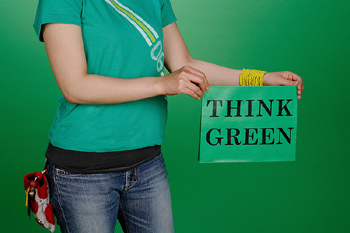 Does Going Green = More Money? With more and more people moving towards eco-friendly lifestyles, savvy home owners have to ask: how should this affect my property and its future selling potential? Do buyers want to see eco-friendly design choices? And, most importantly, will implementing such choices mean a higher price tag? While the answers to these questions can depend upon a lot of factors, from local housing markets to the preferences of individual buyers, the bottom line is that going green is a huge focus right now, not just in real estate but in all areas of society. Therefore, it’s a good idea to examine the available options. Are you planning to live in your home for a while? If you have no immediate plans to move, green improvements should primarily focus on your preferences. Whether you’re considering updating appliances, renovating with green materials or purchasing an energy-efficient A/C system, you need to ask yourself if you want it. Many times, such green choices create immediate financial savings due to their efficiency, cutting costs of monthly water or electricity; additionally, eco-friendly improvements give you the comfort of doing something good for the environment. If these benefits are important to you, you should get the upgrades. When it comes time to sell, you won’t regret making these improvements you were able to enjoy. 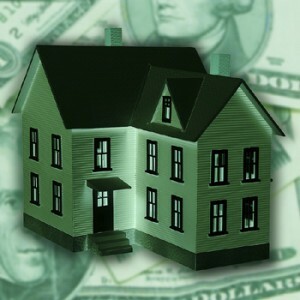 Are you planning to move soon? If, on the other hand, you are looking to sell your home in the near future, you primarily need to be thinking about what will appeal to buyers. Install a Programmable Thermostat. With these, you can control the heat and air while you sleep or while you’re away at during the day. Some even allow you to keep track of your usage on the computer so you know exactly how much energy you’re using. Add a Water Filter. Choose a filter that you mount on the sink, providing clean water and reducing your need to go through countless bottles. It needs to be changed every so often, so it helps you keep track of how much water you use. Add ceiling fans throughout. Ceiling fans are a real energy saver because they keep the air circulated and fresh! During the summer, they keep the rooms cool. But during the winter, you can turn them clockwise at a low speed to send warm air downward. Change water fixtures to low-flowing versions. Toilets, showerheads, faucet heads, laundry appliances and utility sinks can all be equipped with energy-saving gadgets. Lower water bills aren’t just good for you; they’re attractive to buyers! Did you know we spend a third of our lives in the bedroom? This means it’s a great place to begin going green! Since we’re spending so much time there, it only makes sense to diminish as many chemicals and toxins as possible. Start with the bed, and continue from there. Mattresses can carry numerous materials that contain toxins, formaldehyde, pesticides, fire-retardants and more! An organic wool mattress is the top green choice. Organic cotton and latex mattresses follow closely behind. Sheets can carry the same sort of toxins. Choose organic sheets and pillowcases that don’t contain formaldehyde and chemicals. You also want sheets that can soak in moisture so as to not build up mold. Organic flannel, wool or cotton sheets are top choices. Polyester sheets are not a smart choice. Same goes for your comforter. If you plan on adding one ceiling fan to your home, opt to add it to the bedroom. Ceiling fans can keep air cool in the summer and warm in the winter, and fans always keep the air circulated and fresh for easy breathing at night. Choose paint and furniture with low VOC. Since you spend hours at a time breathing in the bedroom air, it’s important to keep it as toxin-free as possible. Instead of purchasing new furniture, fix up old furniture by giving it a vintage style. If you need new furniture, shop at local antique or thrift stores. Buy it from local builders instead of faraway factories. You want to make sure the windows are well-insulated for energy saving. Thick curtains work better than blinds to keep the cold or hot air out. During the day, allow natural light into the room. When the weather is nice, take every opportunity to open the window and allow fresh air to fill your room. Switch your bedroom lights with fluorescent lighting. Add a dimmer switch to set the mood and to save energy! If you plan to redo the bedroom flooring, opt for green choices like bamboo, cork and reclaimed wood. For more comfort, add some comfy eco-friendly throw rugs! Feng shui decorating tips provide the utmost comfort for your bedroom. It teaches to keep the bedroom as airy and uncluttered as possible, which is also a green way of thinking. To learn more, click here. Sleigh bells ring… are you listening? Happy Holidays from Buy Owner! Continuing our Green Decorating series, Buy Owner is here to help you spread some holiday cheer in a more eco-friendly manner. Not only are these suggestions healthier for the planet, but they are also more affordable. So get ready to break out those red and, more importantly, green decorations! Tons of people use the same holiday decorations year after year. Maybe you put a wooden Santa sleigh on your front lawn or hang plastic candy canes on your tree. Whatever is it that you use to give the ins and outs of your home some holiday cheer, you should consider using these items more than a few times. Rather than buying the latest trends each year, reusing ornaments, wall hangings and lawn decorations is healthier for the environment. Usually, extra lighting in your home may cost you quite a bit of money. However, stringed Christmas lights use little energy. So don’t be afraid to wrap them around an entire room, hang them from railings or even string them along window sills! Because of our world’s growing concern for the environment, most of the strands boast LED light bulbs, which are very energy efficient. And with all these charming lights strung about your home, you won’t have to use any conventional lighting, such as table lamps, lighted fans and chandeliers! 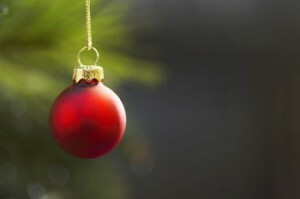 Over the years, some of your holiday decorations might break or they might even become lost. Don’t run out to buy new ones! Food writer Barbara Albright has come up with a list of fun, festive, edible decorations for Christmas trees! From angels to ornaments, your entire home can be spiced up with holiday decorations that are so sweet… you can eat them, too! And if you are looking for a centerpiece for your dinner table, a great suggestion is a gingerbread house, a warm pie or a double-layered cake. Your dessert can function as an enticing, edible centerpiece! If you live in an area where the winters are cold and blustery, you may be able to find fallen tree branches and pine cones scattered about your yard or nearby forest preserves. Bring the beauty of Mother Nature into your home to create a connection between your cozy living room and your snow-covered front lawn. You could even dress up the branches with some faux (reusable) holly from a craft store. If you live in a warmer climate, small palm trees and other tropical houseplants can also be dressed up to accommodate each holiday celebration! 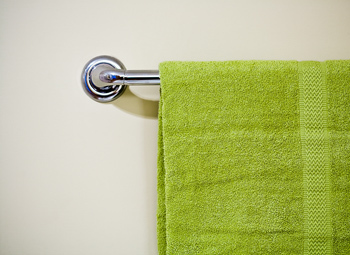 If you’re looking to go green, saving money on your energy bills, your bathroom is a great place to begin! According to the California Urban Water Conservation Council, 60 percent of a home’s water consumption takes place in the bathroom! Many opportunities are available to decrease your water usage and create a greener bathroom. Toilets can use up to 5-gpf (gallons per flush), especially older models. Updating your commode could save you hundreds of gallons of water a month! Newer toilets use as little as 1.6-gpf. If you think a low-flush toilet just won’t cut it in your household, look into a dual-flush one. These toilets provide two flush options: a full flush for solids and a reduced flush for liquids. Low-flush and dual-flush commodes have become easier to find than ever. To gain the most efficiency from your toilets, change parts every five years. If you have a leak, fix it immediately. Make sure to ask for low-flush replacement parts at the hardware store. Close the toilet lid before flushing. This prevents a flow of bacteria through the air. Don’t flush anything but toilet paper. This will use up less water and decrease pollution. Showers now contain many options for water-saving efficiency. Showerheads use way more water than needed. A showerhead should only use 2.5-gpm. Even if you have this type of showerhead, they are often used improperly. Make sure that your showerhead is dishing out appropriate amounts of water. Steer away from dual-heads, which use way more water than necessary. Purchase a tankless water heater and your water will heat up in a mere 30 seconds. This will save tons of water in the long run. Use a PVC-free shower curtain in order to not release chemical gases and odors into the bathroom air. Take cooler showers or shorten the length of showers. Turn off the water while you shampoo your hair or while shaving. If you take daily baths, only fill the bath halfway. Faucets constantly spurt more water than what is necessary. They should use around 2.2-gpm or less. A low-flow faucet gadget costs little to nothing and can save ample amounts of water. Turn off the water while you brush your teeth or wash your face. If you shave in the sink, fill the sink halfway with water and dunk your razor into the water instead of leaving the water running. Add a skylight or a glass-block window. These allow natural light to stream into your bathroom and leave the bathroom lights off during daylight hours. They still provide privacy. If these are not options for you, use compact fluorescent lights that use less energy and last longer. Add or replace your ventilation fans to keep the room dry. By doing so, your light bulbs will last longer and you can keep mold and mildew away. Use organic cotton bath linens or bamboo linens. Regular cotton linens are filled with chemicals that can cause harm to you and the environment. If you are looking to entirely revamp your bathroom, add flooring and a vanity with recycled products that are good for the environment! Bamboo cabinets, recycled linoleum/ceramic floors and recycled aluminum countertops are all excellent choices. When keeping your bathroom tidy, use green cleaners or homemade cleaners to do the trick! Click here to learn more about these types of cleaners.